Tenoning jig, a must for cutting tenons accurately, can be next to impossible without the aid of a good jig. The jig is made of heavy duty cast iron construction, manufactured and assembled with great precision. Easy and quick adjustment for professional work. 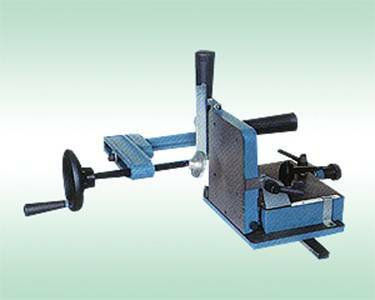 Tenoning jig runs on two parallel tracks manufactured on cast iron base for great precision.